Are you wondering if the current craze for Japanese tattoos is a passing fad or is there more to it than that? There is a lot of fascination about Japanese culture, especially in the West and it’s understandable – Japan is one of the oldest countries in the world, with a rich history and unique culture. Although Japan is a free market democracy with a fairly open and transparent system, a lot about Japan still remains a mystery to many in the West. This makes Japan all the more alluring and in some way, increase the demand for Japanese tattoos. The appeal of Japanese tattoo designs goes well beyond the shores of Japan. Japanese tattoos are incredibly popular in tattoo parlors in the West. Every image used in Japanese tattoos has a deep meaning that goes back to thousands of years of Japanese history and culture. Before getting a Japanese tattoo, it makes sense to understand the history and culture behind these designs. So here’s a quick look at the history and culture of Japanese tattoos. 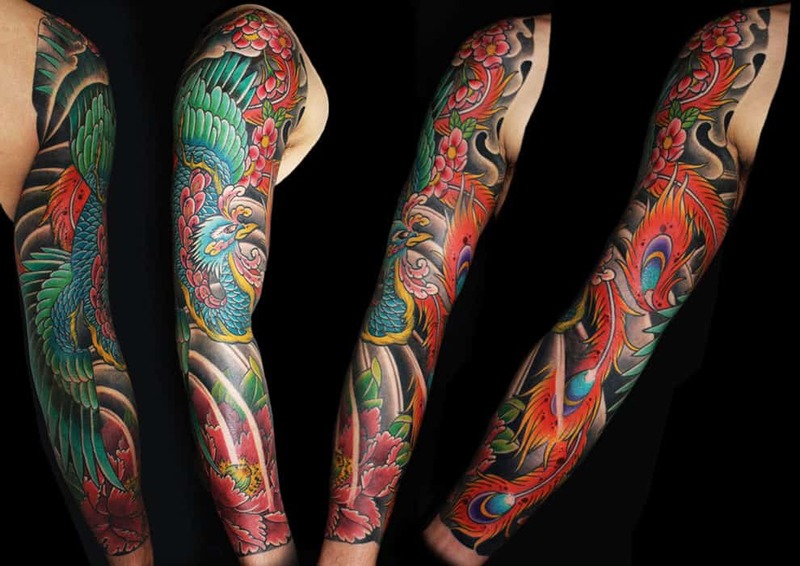 Japanese tattoo art is referred to as horimono or irezumi or in the Japanese language. Tattoos have been a part of Japanese culture for thousands of years. However, they have a negative connotation for the most part, largely because the dominant religions in Japan, Buddhism and Confucianism frown upon tattoos. 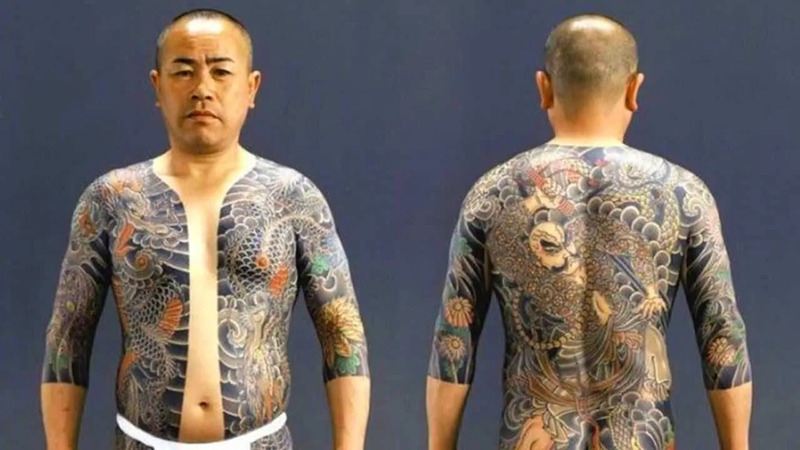 Many Japanese, especially the older generation, identify tattoos as something sported by members of the Japanese mafia called as yakuza, as well as by poorly educated men belonging to the lower classes. Japanese are an intellectual race by and large, and they identify tattoos with brawn, brute strength and even with criminality, which is why tattoos are generally frowned at. Historically, Japanese tattoos were spiritual or religious symbols that symbolized devotion. They were also seen as a way to convey social status. The earliest settlers of Japan from over 1,700 years ago, the Ainu people, proudly wore facial tattoos. It was all positive at the start, but things began to change later as it became a common practice to brand criminals, slaves and prisoners of war with tattoos. This was largely because of the increasing influence of Chinese culture on the Japanese people, especially that of Confucianism and Buddhism, which viewed tattoo art as barbaric. 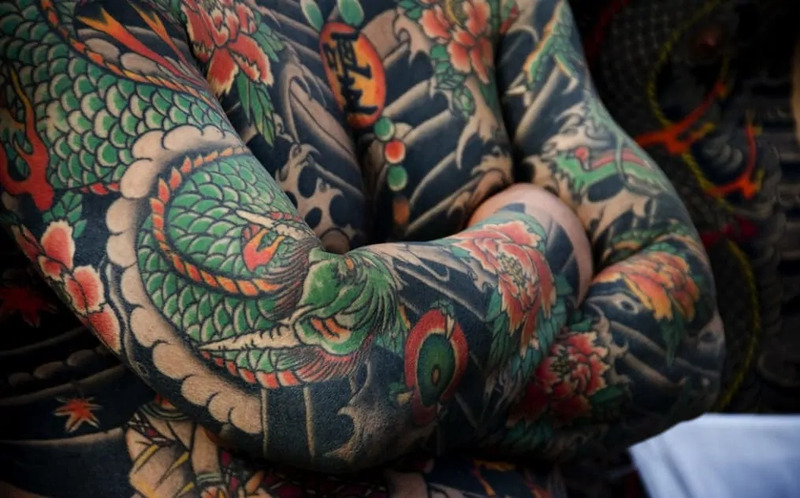 During the Edo period from 1603 to 1868, tattoos were considered to be a part of a floating world culture called as ukiyo-e. Tattoos were sported generally by the lower classes, laborers, workers and firemen, and by yujos or prostitutes. Branding of criminals with tattoos on the forehead became an official punishment starting from 1720, certainly an improvement over the old practice of amputation or facial disfigurement. This practice was discontinued in 1870 by the new Meiji government, which was keen to bring modernity to Japan and abolish all abhorrent traditional practices which they felt held the country back. The only people who wore tattoos during the period of the Meiji Restoration were a new class of outlaws, the ronin or the former samurai warriors, who were left out of the power structure. The yakuza or the organized criminal mafia was originally formed by these men. Tattoos were banned once again by the Japanese government following the end of the World War II as they felt that it hurt Japan’s image in the West. But there has been a revival in Japanese tattoo art over the last few decades because of the current fascination for all things Japan in the West. Japanese tattoo artists are much sought after. 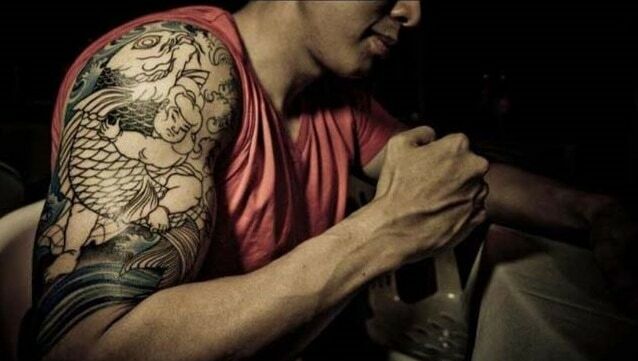 Japanese traditional tattoos are seen as the new cool and aesthetically appealing. Japanese tattoo designs are a hugely popular with young people in Japan as well as in many countries around the world as they are beautiful, artistic, have a free flowing composition and are of a great historical and cultural significance. To learn more about Japanese tattoos, checkout out the highly recommended Japanese Tattoos: History, Culture, Design book by Brian Ashcraft. Along with the 350+ photos of tattoos, Japanese Tattoos also features interviews with Japanese tattoo artists on a variety of topics. What’s more, it contains interviews with clients, who are typically overlooked in similar books, allowing them to discuss what their Japanese tattoos mean to them. Those who read this informative tattoo guide will be more knowledgeable about Japanese tattoos should they want to get inked or if they are merely interested in Japanese art and culture.